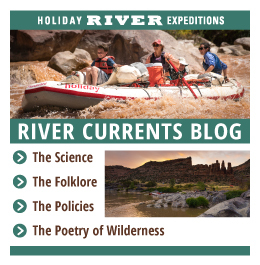 River Currents Blog: Multi-day Whitewater Rafting Trips– Fun for Everyone! River rafting trips are a fun adventure for just about anyone! From those having no water experience, to those who have felt the heart-thumping exhilaration of a Class V rapid, Holiday River Expeditions rafting trips offer an array of new adventures for first timers to seasoned river folk who have been on the river for years . 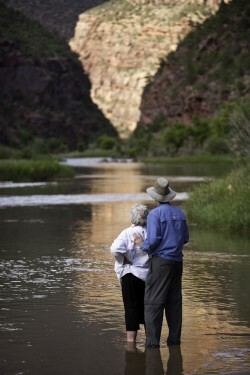 Holiday River Expeditions provides an unforgettable experience that makes a great family rafting trip. Our daily trip can handle young children as young as five years old. For intermediate rafting trips it is recommended that children be no younger than eight years old. For advanced rafting trips, children should be at least sixteen years old and any seniors in your family should be in fit condition. Our staff here at Holiday will be happy to help you decide which trip is best for your group. All in all, a family rafting trip is a fun time for the whole family – children, parents, and grandparents included. Why not take a trip with just the ladies? 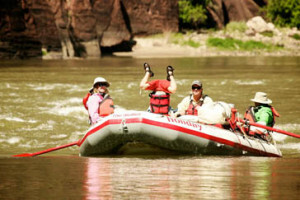 Holiday River Expeditions provides several women-only white water rafting trips. A women-only rafting tour has a strikingly female feel: Yoga, massage, river “pedicures” and mud baths/exfoliating, chocolate fondue and fresh, organic meals. And inevitably, spontaneous laughter, shared wisdom. 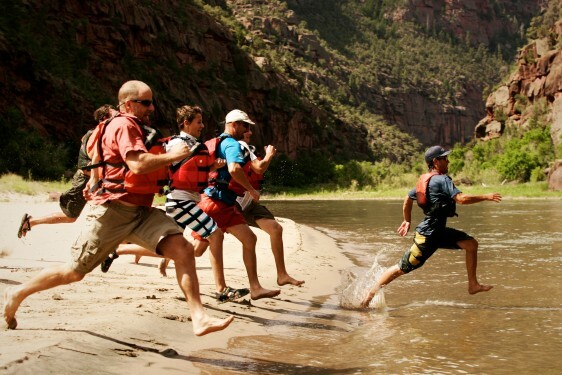 Explore your inner spirit by going on a combined yoga/rafting/writing expedition. It is natural for the beginning rafter of any age to experience some fear on his or her first rafting trip. Rest assured your trip will be safe and comfortable as all our Holiday River Expeditions guides are sensitive to your concerns and are trained in safety and first aid. Holiday River Expeditions offers rafting tours as short as three days if you are not sure white water rafting is for you. Youth groups can go on rafting trips with Holiday River Expeditions geared toward the younger crowd – a great option instead of summer camp. For the experienced rafter looking for an amazing adventure trip, Holiday River Expeditions has advanced tours with Class V rapids. You can raft using a paddle raft in which you paddle all day long through rapid and calm sections. There are one-person inflatable kayaks that you can paddle without the aid of a guide, adding to your experience. In addition, to heighten the adventure, embark on a multi-sport trip that combines mountain biking with rafting. 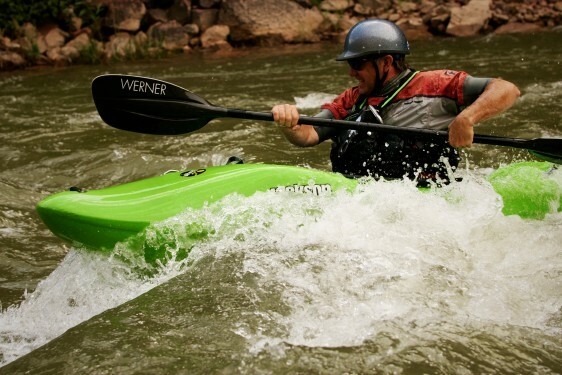 Interested in honing your kayaking skills? We offer a 6-day kayak class in August through Desolation Canyon. Holiday River Expeditions can accommodate vegetarians and others with special dietary needs. Perhaps you are traveling solo, we can arrange for you to share a rental car with others. You can definitely enjoy river rafting while traveling by yourself and you might make new friends on the journey. White water rafting is an engaging sport that can be enjoyed by individuals of all ages. It makes a great family trip, group trip or women-only vacation. You don’t even need to know how to swim to become a white water river rafting enthusiast. Youth groups can have an amazing bonding experience by going on a river rafting trip. Thrill-seekers as well as those who are just beginning can equally enjoy tours. All in all, almost anyone can have a great time on a white water rafting trip provided by Holiday River Expeditions.